Do your research and know what level of maintenance you will need. Do not clean your gravel and filter at the same time – this could cause re-cycling! Do not use chemical household cleaners to clean your tank! Remember, your fish tank is basically a small ecosystem that needs to be taken care of so that everything stays balanced. You can use a monthly chart to keep track of everything that needs to be done. By following a routine, you will avoid catastrophic events that could lead to illness or even death in the tank. Lets look at a few types of tank set-ups. Weekly: &starf; Do a 10–25% water change depending on your set–up. Ask an Absolutely Fish Aquarist to help you find what suits your tank best. &starf; Also remove any unwanted algae growth from the glass and décor. Bi–Weekly: &starf; Twice a month you will do more than just a water change. We recommend, if you break the month up into weeks, to preform a gravel cleaning with a proper syphon on WEEK TWO. If you don’t know how, we will provide a demonstration. All you need to do is ask. &starf; On the fourth week of the month, it will be time to clean your filter (whether you have a canister, hang–on, or other type). For canisters and hang–on filters, rinse any sponges in tank water that was removed from the tank. For wet–dry filters and sumps, remove any silt build up and rinse out sponges. Monthly: &starf; This is a good time to give all of your equipment a good once over. Make sure lighting, timers, pumps, etcetera, are clean and functional. &starf; Even if your fish seem fine, this is also a good time to bring in your water sample for an Absolutely Fish Aquarist to check for you. We will preform a basic water test and consultation for free. Seasonally: &starf; Replace carbon or cartridge if necessary. &starf; Clean the impellers on any pumps or filters. Every Year: &starf; Check lighting and replace bulbs if necessary. &starf; Observe and enjoy your fish and gorgeous corals! &starf; Top off any evaporated water with buffered R.O. water if necessary. &starf; Depending on your set–up you may need to dose calcium, carbon, and/or magnesium. &starf; Empty the protein skimmer head if necessary. &starf; Check calcium reactor for proper drip and bubble rates if you have one. Weekly: &starf; Check the salinity and pH in your tank. Bi-Weekly: &starf; Preform any water changes and vacuuming of the sand (usually 20-30% of the total system volume). &starf; Wipe of salt creep with a damp cloth. Monthly: &starf; This is a good time to frag and thin out corals as needed. &starf; Test and record calcium, dKH, magnesium, phosphates, ammonia, nitrite, and nitrate. Keeping detailed records will help you see potential problems before they start. If you do not have testing kits at home, ask an Absolutely Fish aquarist about all of the tests we can preform for you. &starf; Replace carbon and phosphate removal media if needed. &starf; Check skimmer, UV and pumps for proper performance. Seasonally: &starf; Make yourself a list of all pumps that need to be broken down and cleaned and spread out this maintenance throughout the course of the year. This step will help your pumps last much longer and prevent any buildup of calcium or debris around the impellers. &starf; Refill carbon dioxide bottle for calcium reactor. Every Six Months: &starf; Take a look at your invertebrate clean-up crew population. Many individuals need to restock at this time. &starf; Clean the UV sleeves and decrease the water flow through your UV by half. Every Year: &starf; Replace UV bulbs, aquarium reef lighting (if an LED system is not on the tank), and R.O. membranes. &starf; Observe and enjoy your fish and beautiful plants! &starf; Is everything operational? Are CO2 levels adequate? Weekly: &starf; Prune your plants to your liking. &starf; Do a 10-25% water change depending on your set-up. &starf; If you dose often, you may need to stick to the higher end of this range. Ask about test kits you can take home with you to check on your system. &starf; You will likely want to keep an eye on temperature, pH, KH, and GH. &starf; Remove any unwanted algae growth. Bi-Weekly: &starf; Aquascape according to plant growth and be sure to remove any dead plant material. &starf; Assess your dosing schedule; are all your nutrients balanced? Monthly: &starf; Clean your filtration system and check all of your equipment. &starf; Make sure lighting, timers, pumps, etc. are clean and functional. &starf; How is your tank doing overall? Any particular plant issues? Is everything growing to your liking? Seasonally: &starf; Refill carbon dioxide tank. &starf; Check on the performance of your substrate. &starf; This is also a good time to take any plant cuttings to propagate new plants. Every Six Months: &starf; Check if your testing equipment is accurate. Every Year: &starf; Change your lighting system bulbs. &starf; Consider how your tank has done over the past year. If growth has diminished, it may be time to swap out your nutrient–rich plant substrate for new. There are many types of tank set-ups with endless combinations of livestock and equipment. These check lists are only a guideline and may not encompass all that you need to do. 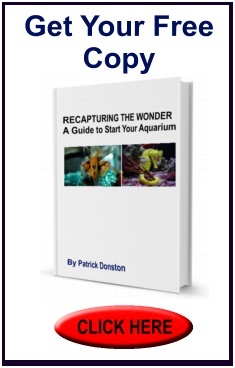 If you do not see your tank type or have any questions about what to do for your specific mini-ecosystem (that’s your tank), just ask your Absolutely Fish aquarist. We will happily help you create a custom maintenance checklist of your very own and even show you how to do it. A properly kept tank is a happy tank, with happy fish, which leads to very happy owners.